You can now try the new The Division DX12 renderer by downloading the Public Test Server. Ubisoft Massive sneakily added the option to Update 1.5, for some reason without even mentioning this in the official patch notes. Perhaps that could be taken as a sign that it’s still a work-in-progress, but nonetheless Reddit user MittenFacedLad already tested it and reported his findings. I’ve tried it. Took a longer time than usual to connect/load in the main menu, but finally it loaded. I’m testing the benchmark against the DX11 renderer now. Will update this comment with FPS comparisons. Specs-wise, I’m running an older, but decent build. I5-2500K, GTX 970, 16gb RAM 1600mhz. All settings are MAX at 1080p, except for Shadows, which are set to PCSS instead of HFTS. (Since the raytracing just incurs too big of a performance drop on this card, despite how crisp and detailed it makes daytime shadows.) I’d be curious to see if the current build does better on an AMD card, as far as how much improvement it offers. Looks like The Division DX12 renderer offers slightly faster and smoother frame rate, though of course we’ll need more data to properly assess how much of an improvement it will be. We’ve noticed in other games that different configurations can yield significantly diverse results when it comes to DirectX 12 renderers. 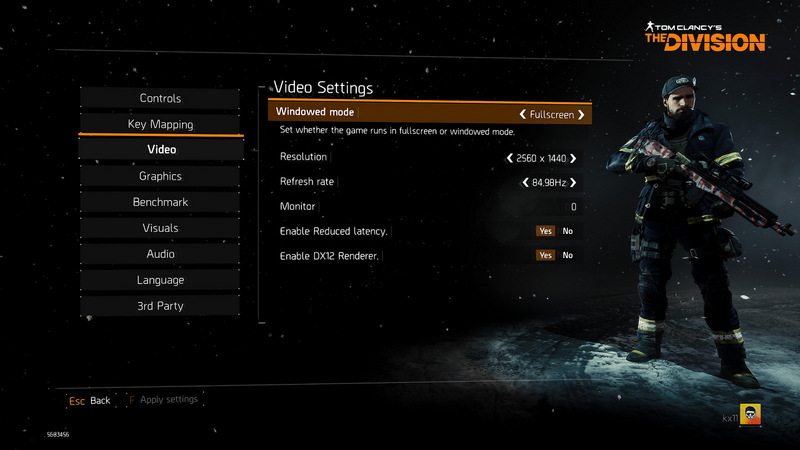 The update also adds another interesting option for PC gamers called “reduced latency”. Apparently, it’s a new UI rendering setting that reduces game latency at the cost of frame rate, if you can afford that. Credits for the image below go to our reader kalid owaida. Alongside Update 1.5 and the new The Division DX12 renderer, Ubisoft Massive will also release the new Survival DLC (included with Season Pass). Survival is a pretty big departure from your usual gameplay, introducing a rogue-like mode where your agent will find him/herself in a huge snowstorm, sick, dehydrated and hungry. 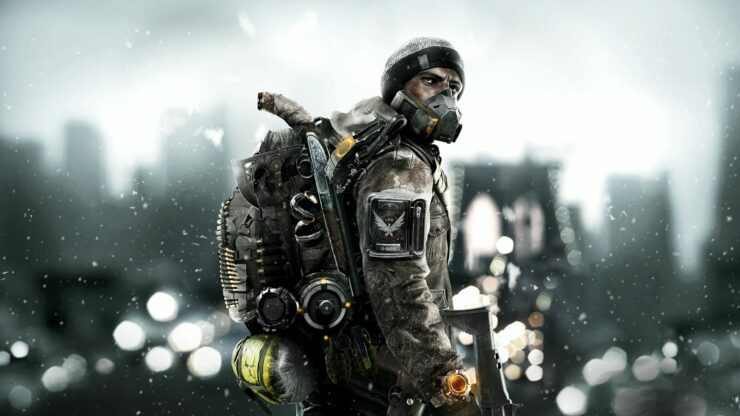 The final objective will be to get to the Dark Zone, retrieve some antivirals and extract yourself and the medicine. This will be far from easy, though: you’ll begin with just a pistol and will have to scavenge the rest while making your way through the entire map. Characters will also have standard green equipment, no skills or first aid available. With 24 players in each session, there will be two modes to choose from, PvP and PvE. Even the latter one will be competitive, anyway, since you’ll have to “fight” to get resources first and stay alive. Both the DLC and Update 1.5 should probably release on live servers in December.